If DIGICEL is now the "bigger better network" then by the addition of MARPIN, will it become the "biggest best network?" Well, not necessarily; but, at least, DIGICEL will not be the same again. 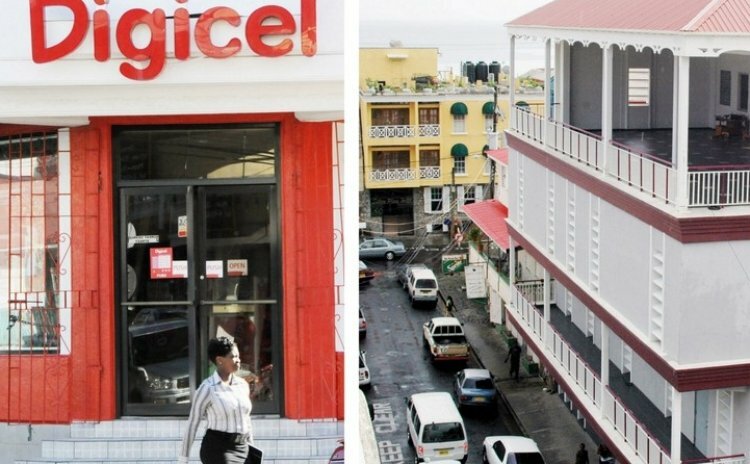 Sources tell the Sun that DIGICEL, the cell phone service provider, is expected to take over the operations of the financial-strapped MARPIN 2K4. According to an informed source: "DIGICEL was concerned about the unsecured debts of MARPIN but that has been dealt with and they have all but closed the deal with an announcement expected during the next few weeks, before year end. "The deal is sealed; I can't speak to you publicly on the matter because I am not an official of the company; but yes, DIGICEL will soon be the new owners of MARPIN 2K4." Four years ago a new company, MARPIN 2K4 was formed after the former MARPIN Telecoms and Broadcasting was placed into receivership. In 1994 MARPIN had an EC$33 million debt. The company, however, continues to be plagued with serious financial problems. Recently, for example, DOMLEC, the electricity company whom it owed EC$1.7 million, disconnecting some of the company's essential services. In 1994, MARPIN 2K4 was bought for EC $14.1 million by a United States company WRB Enterprises Ltd., based in Tampa, Florida and the Dominica Social Security (DSS). Seventeen employees were made redundant as the new management took over. In early 2013, the company, citing financial difficulties made 10 more staff members redundant but after the Waterfront and Allied Workers Union (WAWU) intervened they were all recalled. According to sources, the indebtedness of the company was well over EC$3 million and it was under the 15-month management of Pericson Isidore that it was brought down to EC$ 900,000. "Also the cash flow situation which has plagued the company was at minus 1.3 million and it now stands at minus $60,000. WRB held the management contract and 51% of shares," the source revealed. Sources further reveal that DOMLEC and MARPIN agreed to deal with the hefty arrears in electricity costs and to find ways to settle that bill. "The manager heard of the cut on radio and immediately put in the necessary plans to deal with the matter; he had emergency meeting with staff," the source stated. Ron Abraham, a United Kingdom returnee built MARPIN, in the 1980s, into a first class operation providing cable services throughout Dominica. In 2001, he successfully challenged the Cable and Wireless telephone monopoly, which resulted in the liberalisation of the sector in the Eastern Caribbean. Abraham was eventually forced out of the company that he founded. MARPIN was the second locally-owned company to be sold to WRB. In 2003 WRB bought DOMLEC, the country's sole electricity company from the Commonwealth Development Corporation (CDC); the DSS holds minority shares in both DOMLEC and MARPIN.